But what are these violations? 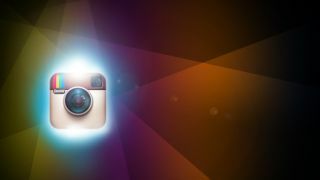 Instagram has confirmed it is requesting photo ID verification from users its thinks have violated its terms of service. In a move pushed by Instagram's sugar daddy Facebook, the photo sharing company has been asking the suspected offenders to confirm their identities. This is something Facebook itself has been doing since last February, but as Instagram allows users to have pseudonyms instead of their real names, it's unclear what these "suspected violations" could be. An Instagram spokesperson added: "This is just a general practice for both Facebook and Instagram to request photo IDs for verification purposes depending on what type of violation may have occurred." The company has not yet expanded on those comments, but given the controversy over its recent bid to update its terms of service, it may be wise to serve up a little clarification here. Late last year, the company attempted to make sweeping changes to its policies, effectively giving Instagram ownership of users' photos and the right to use them in advertising without compensation. Following a public outcry and high profile boycotts, the app was forced into a climbdown, largely reverting to its original documents, barring a few changes.